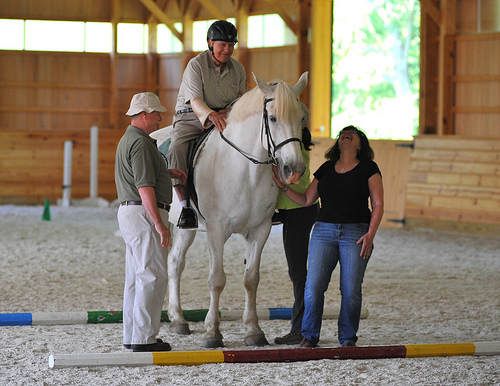 One way the American Red Cross supports veterans in our community is by funding a horse therapy program at Thorncroft Equestrian Center in Malvern, PA. 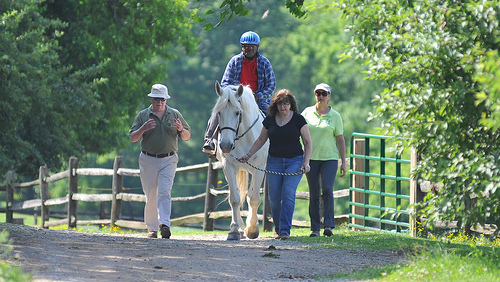 Through a partnership with the Coatesville Veterans Affairs Medical Center, veterans living in their Community Living Center can learn to ride horses. The program was originally funded by a grant from the Defense Department (as seen on this story on 6 ABC), but once it ran out, the American Red Cross took on sole funding of this valuable therapy. 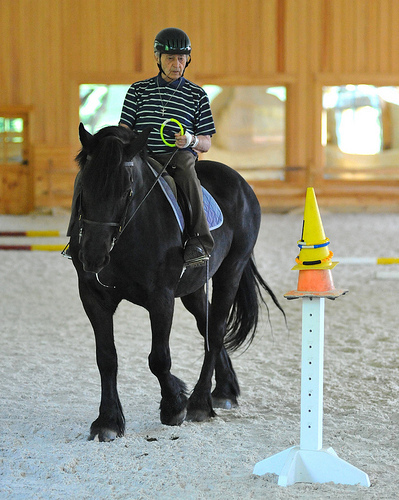 The benefits to horse therapy are immense for the four veterans that participate once a week. Alex, Ray, John, and Bob have a wide range of health conditions and medical limitations, and most are confined to a wheelchair. Recreational therapist, Ellen Barnes, says “one of the biggest benefits is that the veterans feel so loved by the volunteers at Thorncroft and their commitment to their learning.” An increase in balance and confidence are substantial benefits as well. Horse therapy can also be considered a form of exercise, working mostly on their core and their endurance, which is something the veterans don’t get the chance to do since they spend most of their days alone in their rooms. Ray, who is a Vietnam Era vet, has severe physical and medial limitations and originally couldn’t make it even 5 minutes on the horse, but now he can’t wait to ride. He goes the full 30 minutes, and even rides with his hands off the saddle. At 94, Alex, a World War II veteran, is legally blind and in a wheelchair, yet rides the horse with ease and with a smile spread across his face. According to Ellen, “this is something the veterans look forward to every week,” and it is definitely apparent when watching them ride. Not only does the horse therapy provide physical treatment, but also emotional support as well, which is important to the veterans’ welfare. It gives them a chance to connect with others and is a release from their health limitations. For these men, coming to Thorncroft has sincerely improved their lives and their well-being. It gives the veterans something to look forward to and the American Red Cross sees the benefits of this program and is proud to support it. Great to see services for veterans. I hope they all find jobs. Without their service, our freedom would only be a wish.